I believe everyone needs a helping hand now and then. That help comes in many different forms, and one is receiving a blessing. It has been many years since I climbed Mount Kailash, the “Precious Snow Mountain” which is sacred to Buddhism. Circumambulating Mount Kailash on foot in a single day is no easy task. The process of doing so is believed to bring one enlightenment and good fortune. It has been many years since I have traveled to Tibet and taken the journey up this sacred mountain. I am fortunate that I do not need to journey back to Tibet to receive a blessing from the Drepung Gomang Buddhist monks. 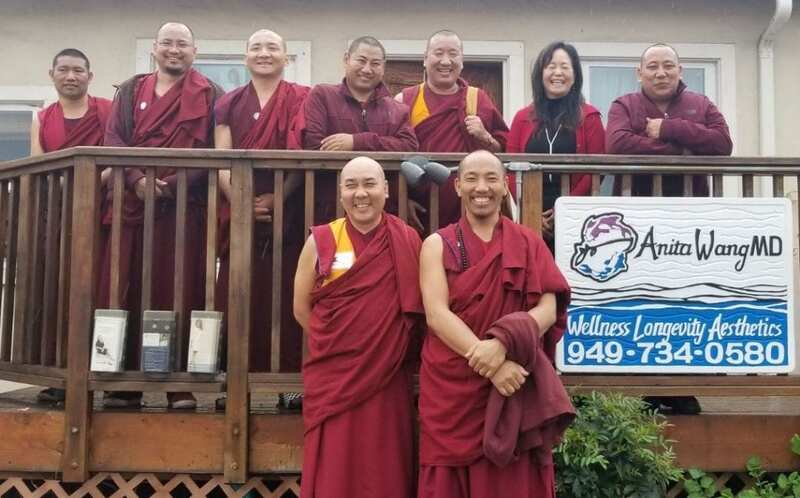 The monks visit Laguna Beach every few years to spread their blessings. I wish to share that blessing with everyone and share in good fortune for the New Year!